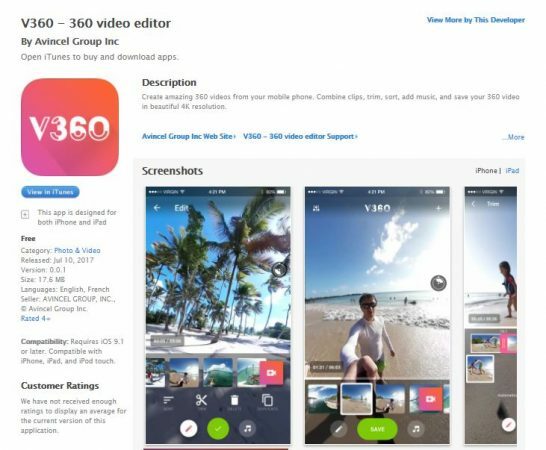 V360 is the first dedicated 360 video editor for iOS and it’s now available as a free download on the App Store! 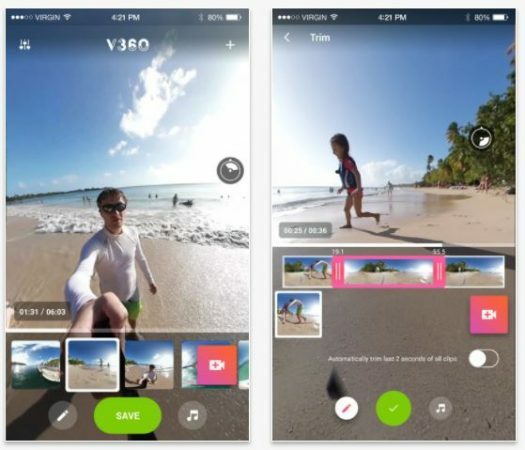 V360 was the first 360 video editor for Android and the iOS interface is very similar. You can create a montage, trim clips, or add music. It is very intuitive and user friendly, with straightforward and simple controls. V360 supports videos up to 4K resolution and it’s a free download. It’s a must-have for any 360 shooter who uses iOS. You might also be interested in LumaFusion, a multi-track video editing app for iOS with advanced features and 360 support (both 2D and 3D), but can’t display 360 videos in 360 view. LumaFusion is a paid app. Will this app function as a workaround to allow iOS export of full resolution video from the Xiaomi Mijia Sphere? Hi Doug. No V360 is only for editing. It doesn’t stitch. But if you have stitched videos from the Xiaomi yes you can edit them with V360. Ok thanks. Guess I’m waiting to see what happens with the iOS update and Desktop Software (if it’s released for the Mac). Hi Doug. The desktop app is only for Windows I think. In the worst case scenario, one option is to get the Xiaomi Redmi Note 4 to stitch videos. http://360rumors.com/2017/06/can-170-smartphone-export-xiaomi-mijia-mi-sphere-videos-full-resolution.html You can also use it to save time and begin stitching while you are on the road.